Is there support for Open Liberty? 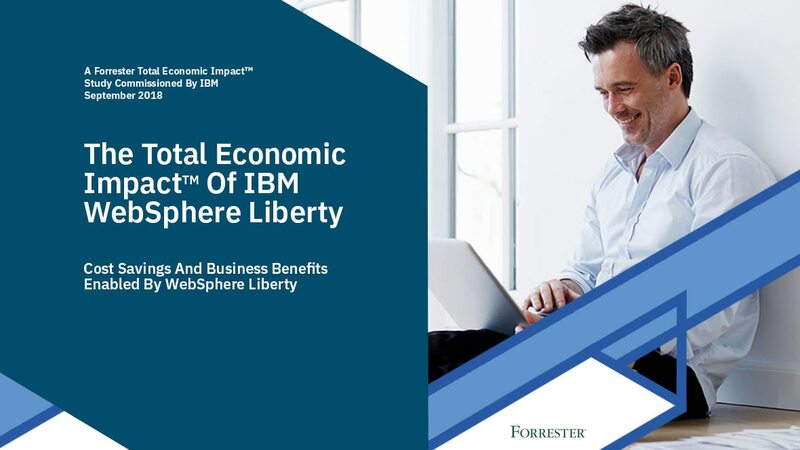 If a customer requires enterprise support, they can buy a license to IBM® WebSphere® Liberty (Core, Base or ND) to gain support and the use of additional capabilities that are not offered as part of the Open Liberty project. You can also visit the community to learn from industry experts. What is IBM WebSphere Application Server? IBM WebSphere Application Server is a flexible, secure Java server runtime environment for enterprise applications. It provides advanced performance, redundancy and programming models. Is there support for IBM Reactive Platform? IBM and Lightbend both offer support for IBM Reactive Platform. Is there support for IBM Voice Gateway? Yes. You can join the developer community to ask questions, provide answers and get tips from the development team and other users. You can also post questions and answers in the dwAnswers forum with the voicegateway tag or talk to us on Slack in the IBM Cloud Technology team under #ibmvoicegateway. How do developers, new or existing customers buy support or licenses? Is there a part number for Open Liberty? Open Liberty is an open source project provided under the Eclipse Public License. Support is available through the community. The list of IBM WebSphere Liberty part numbers is: WebSphere Liberty Core: D1NZELL, WebSphere Liberty Base: D1NZ8LL and WebSphere Liberty ND: D1NZALL. What are some of the features of IBM WebSphere Application Server Liberty Core? The software is fast and easy to download and takes only one minute to install and deploy. It integrates fully with open platforms and supports Java EE Web profile for web, mobile and OSGI apps. It’s an ideal runtime for microservices. What are IBM WebSphere Application Server Network Deployment and IBM WebSphere Application Server for z/OS? It’s an advanced runtime environment for large-scale and mission-critical application deployments that offers near-continuous availability and intelligent management capabilities. What are some features of IBM WebSphere Application Server Network Deployment and Application Server for z/OS? The software has an unlimited server allowance for IHS load balancing and centralized management for massive scalability (thousands of servers). It has intelligent management and includes full integration with open and z/OS® platforms and full caching support (session and application). What is the deployment structure for the IBM WebSphere Application Family Server Edition? IBM WebSphere Application Server Family Edition provides license flexibility to deploy a bundle of WebSphere Application Server product editions to suit your business needs and modify the mix of editions as your requirements change. Why should I buy a license for IBM Reactive Platform when the software is available as Open Source Software? Additional features and advanced tooling are only available with the licensed version of the software. Furthermore, Licensing Reactive Platform V1.2 gives you access to IBM (and Lightbend) support on the entire stack, including most of the Open Source components. Why would a call center need an IBM Voice Gateway? IBM Voice Gateway addresses the most pressing challenges of operating a call center, including reducing operational expenses, decreasing wait times, improving customer satisfaction and providing easy access to internal documents and information. What are my options for licensing WebSphere Application Server for container deployments? To help optimize the various deployment environments used with WebSphere, perpetual PVU and Monthly VPCs are great options for licensing a server environment. For containerized environments running mixed workloads the new WebSphere hourly option for containers may be the best fit.